The north of Germany, marked by rough weather, sometimes interrupted by hot sunny phases, is the home of Blackdraft. Four northmen and a woman set out from Hamburg, the pearl of the north, to carry their definition of contemporary metal sound into the world. So, you can read it in the press release for the new album. Backdraft were founded in 2015, by musicians who were previously active in various local bands. One year later, the debut “Recipe Of Pain” was released. They toured with well-known bands like Inglorious, Mob Rules and Masterplan. The highlight so far is likely to be a worldwide record deal with the Danish label Mighty Records. 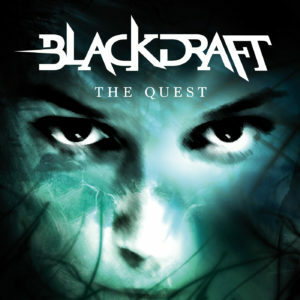 In December, “The Quest” was released, a concept album that tells the story of a young researcher. She is on her way to Iceland to take a trip to the deep sea from there. Admittedly, when I read the word “concept album”, I’m always a bit skeptical. I have heard several concept albums where songwriting has suffered massively under the rigid corset of the concept. Also, with well-known bands. To say it straight away, Blackdraft does not make that mistake. The album is consistently divided into eleven chapters, intro and several instrumental, acoustic interludes. But there are no sprawling spoken word passages. Already the intro “Formali” (for me also often a stimulus topic) fits in exactly here. With much epic it is lead over to the first song (chapter) “The Calling”. And even here, the Northern Lights show their talent for catchy melodies. However, the required heavyness is not too short. And front belter Julia Dorothee Wallenius lets her vocal abilities run wild, powerful clear vocals and subtle growls alternate. Guitarist Karsten Wallenius is responsible for the harsher growls. The orchestration and choruses also provide epic moments for the songs. But without overdoing them. 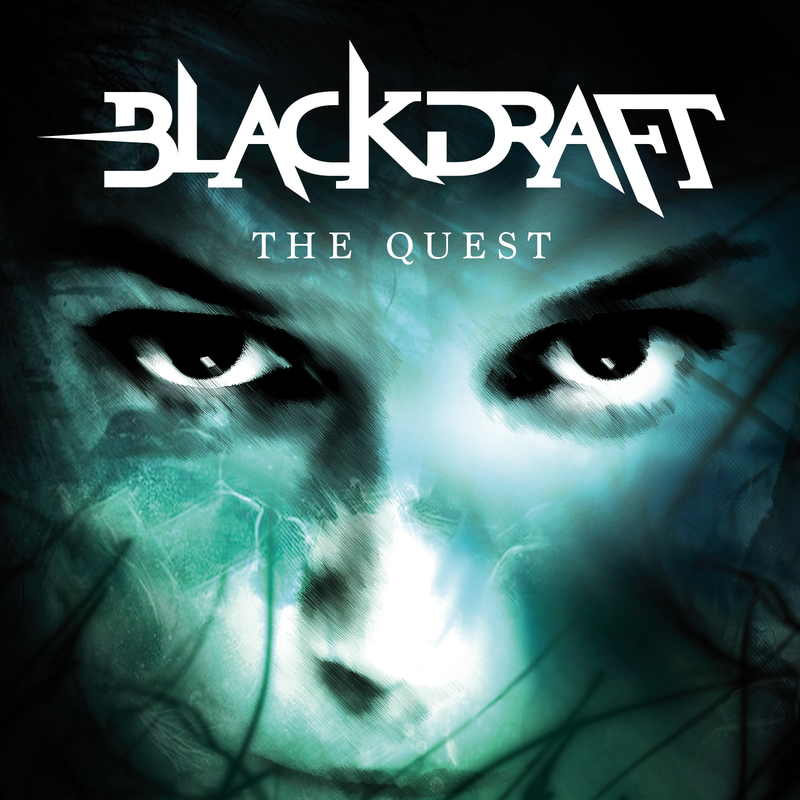 Blackdraft are just a band playing straightforward melodic metal. They show this in all eleven songs, which are mostly located in the mid-tempo area. Again, and again, the guitarists shine on with their skills with filigree solos. If you want to bring out one or two songs at all, then the hymnic “Leap in the Dark” or the grandiose power ballad “Discover Beauty” should be mentioned. Especially in the latter one can admire the multi-faceted voice of Julia and the (almost) singing guitars. Oh, I have not said anything about bass and drums yet. Both instruments are often overlooked in reviews, but are indispensable for rhythm and musical power. Thus, they also form the foundation for the entire sound on “The Quest”. Although I live not far from Hamburg. Nevertheless, I always discover new musical gems from the Hanseatic city. It was the same with Blackdraft. The musicians have released an excellent second album. I can only warmly recommend this CD to fans of straight melodic metal. Since I have to get me necessarily the debut. I am already looking forward to the release-show for the album.